OPEN HOUSE on Sunday! Wonderful 2 Bedroom Condo in Convenient Essex Location! 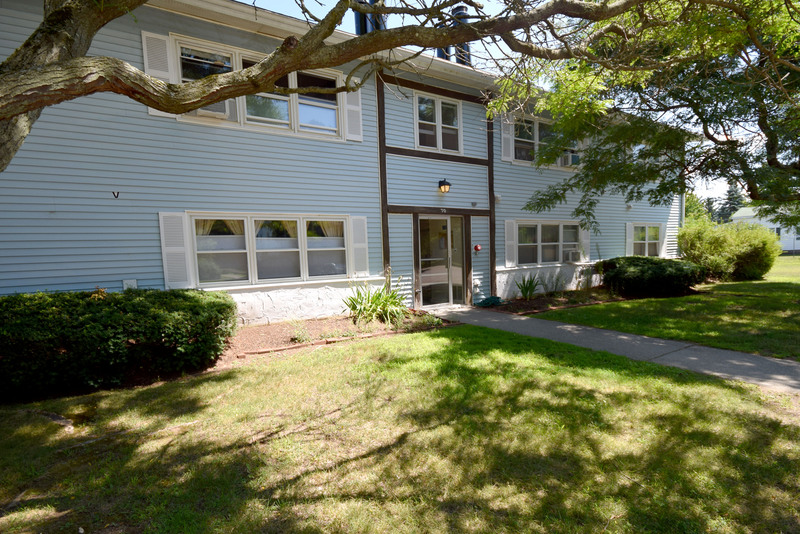 Wonderful 2 bedroom condo in a convenient Essex location! Enjoy all the benefits of living right near 5 corners but still have a cozy neighborhood feel. This first floor unit boasts an open floor plan with a large living area with wood burning fireplace and big beautiful windows. Full built-in shelf in the dining area adds a nice touch. Cozy kitchen with stainless fridge, dishwasher, gas range and garbage disposal! Down the hall are two bedrooms with good closets size closets. The master features a good amount of space and plenty of daylight. Detached carport with lockable storage area provides extra space for all your items, and parking lot provides plenty of extra space for all your guests! This unit is on the back of the building and faces the wooded common land with nice landscaping and picnic tables. On the ground floor and all on one level, minutes to schools, parks, The Winooski River, and all the amenities, this place has everything you are looking for. Directions: From 5 Corners, take Park Street, Right on South Street, left into development, 70 is farthest down on the left. Walk around to the rear of building in middle door. 70C is the first unit on the right. LB on door handle.